This is a module that you can embed different blocks into one with tabs. 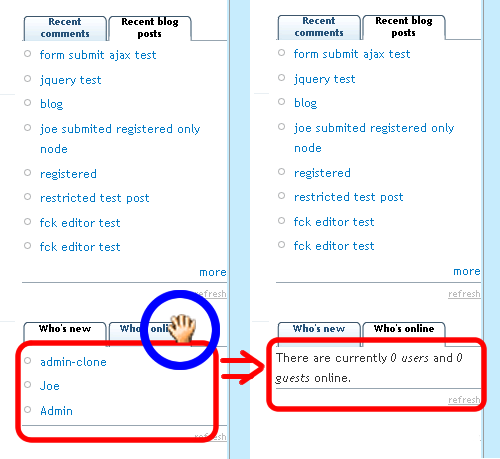 The below svn is outdated, please use files on Drupal.org, and svn will dropout from the site soon. 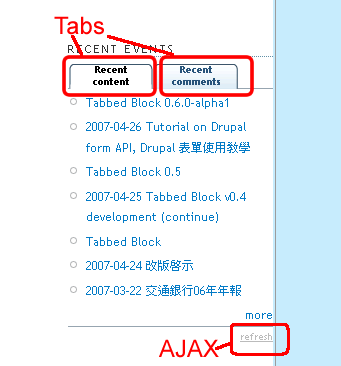 並用 Drupal 來trace issues, bugs. 這一次的模?是一個recent comment 和 recent blog post 的二合一模?